Red-hot flames lashed out, threatening to devour that what was so revered – so beloved by so many. Glowing embers flickered and rose into the darkness like brightly-lit fiber optics. Horrified and curious onlookers were kept at a safe distance as firefighters started to douse water on the fire before it could spread and do irreversible damage. 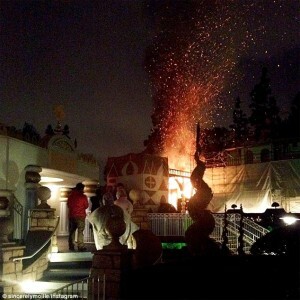 I’m not talking about the fire at It’s a Small World this past weekend at Disneyland. I am talking about the morning of May 27, 1911 at Coney Island. Just past 1:30 AM on the park’s opening day of the 1911 season, fire broke out in the depths of a brand new attraction ironically named Hell Gate. By dawn, Dreamland at Coney Island had been reduced mostly to smoldering piles of ash and rubble as news quickly spread and the masses came to gawk at its ruins. Fire has always been a great threat and fear when it comes to attractions or iconic locations. Whether we talk about seaside boardwalks, Las Vegas hotels, or famous theme park attractions – fire is a subject that conjures deep-seated fears for both owners and fans. “Dude! It’s a Small World is on fire at Disneyland!” is a phrase that nightmares are made of. Yet, that’s what I heard shortly after 9:30 PM on Sunday night, as we were finishing an evening spent at nearby Knott’s Berry Farm. It’s a major fear that’s always lingering in the back of one’s mind, but rarely ever manifests itself. Hearing it said aloud was jarring, regardless of how “prepared” we think we are in our thoughts. With the advent of social media platforms such as Twitter and Instagram, news travels around the world in seconds, and usually in abundance. Within moments, I was looking at my smartphone at images of orange flames creating silhouettes out of the Small World facade, as well as video of fire swirling and leaping into the night sky. Like many other life-long Disneyland fans, I was sick to my stomach and could only mutter, “Oh no! Oh no,” over and over. Quite literally, the world around me went into bullet time, and I sat glued to the screen of my phone, looking for and asking for updated information. The images and videos of the Small World fire were mostly dark, and zoomed-in, making it very difficult to get a fix on just what part of the attraction was involved, or how bad it really was. It definitely didn’t look good. Blessed and cursed with an over-active imagination, my mind instantly went to worst-case scenarios – the famous/infamous music of the Sherman Brothers suddenly being drowned out by a modern fire alarm; dolls wearing Alice Davis’ beautiful costumes melting and being ruined by soot; flames roaring from the entry/exit tunnels of the attraction as blackened debris floated out in the flume; irreplaceable sets and props dating back to 1964 burning and crashing down; and finally, the ceiling falling in due to heat, flames and water from fire hoses outside trying to knock the blaze down. I’ll be the first to admit – I didn’t even think about the guests that were inside the ride at the time. I imagine I am not alone in this regard. It’s nothing callous or indifferent by any means. When something that we have literally grown up with or have known as a “landmark” in our lives is destroyed or threatened, we immediately think of that structure, attraction, or icon. Most of the time, people directly involved are secondary to the focus of our attention – not always, but certainly more often than not. That’s because we are bonded and attached to the attraction, building, or monument; not the faceless, constant stream of people that are within and around these things. When the Twin Towers collapsed on 9/11, the world gasped and focused on the fact that those two monolithic structures had come down; the people were secondary, although we know that was the most tragic aspect of that horrible day, and in the years to follow, our mindset would settle on the victims and the heroic firefighters and police personnel who lost their lives while trying to save others. 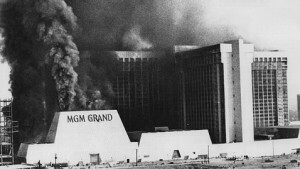 When the MGM Grand in Las Vegas burned in 1980, the shock was that the iconic hotel and casino on the Strip was involved in a major fire – the fact that people died inside and as a result of jumping while horrible, was secondary. The examples are plentiful, and to a much less extent, that is what happened at least in my mind on Sunday night as I first heard about the fire at It’s a Small World. Fortunately, no one inside the attraction was hurt; guests being injured or worse would be devastating, obviously. We fear losing these iconic attractions to fire simply because of their history and the life-long bond we as fans have with them. If a Best Buy down the street went up in flames, we’d look at it for a few minutes on the news and forget about it. But something like a Disneyland attraction – that triggers deep-rooted fears and sadness in many of us that is hard to justify or articulate; hopefully, I am doing a semi-adequate job here as I share my thoughts with you about the subject. One of the biggest reasons we fear disaster visiting these attractions is because they are the personification of our childhoods. It’s a Small World opened at the New York World’s Fair in 1964; I was born in 1970, roughly four years after it re-opened at Disneyland. It’s been part of the Disneyland experience for me my entire life. You bet I’m emotionally attached to it. Losing it would be really sad and difficult to wrap my head around. As a professional working in the themed entertainment industry, I know that Disney would re-build it, but it would never be the same. Modern sets and newer props would be fabricated; while it might look the same – it would never be the Small World we all grew up with. That’s a secondary and very real concern I have when pondering these things. As word of the fire spread, one of the first reports is that it was temporary construction covering that had caught on fire from fireworks fallout. That really blew my mind. Disneyland in the last decade has become almost fanatical about safety measures – especially in response to the park’s use of low-level pyrotechnics. The Disneyland Railroad doesn’t run. The Monorails shut down. Toontown ceases operation. Fantasyland’s attractions are taken offline. Major walkways are closed. It’s a huge, inconvenient ordeal that Disneyland has agreed to proceed with nightly. So the thought of construction material such as coverings not being fire-proof directly under the fireworks fallout area – I found that shocking, to use a polite term. I said aloud that if that were the case, and Disneyland were my sandbox as an executive, I’d have some seriously tough questions to ask people right away. Thankfully in the end, there was very little external damage done to the attraction, on its far left-hand side, nearest the Toontown/Fantasyland station for the Disneyland Railroad. Quickly, Disneyland stated to the media that a tree had been involved “backstage” and that the attraction and guests inside were totally fine. 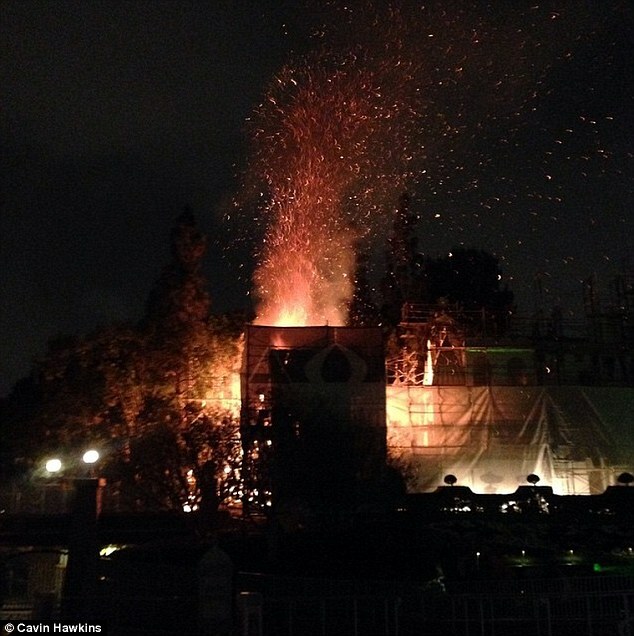 While not necessarily “backstage”, the area affected was definitely not accessible by the public, and posed no danger to anyone as Disneyland firefighting Cast Members quickly knocked it down. Kudos to them. And a huge kudos to the Cast Members who had to spring into action on an otherwise rainy, unexceptional night here in Southern California. Cast Members are certainly trained in how to handle emergency situations at each attraction; there are even plans in place for a major disaster such as an earthquake and what to do in the minutes, hours, even days following. However, you can only prepare so much. When you’re sitting in the Small World dispatch tower and look up to see the attraction’s facade on fire – that’s a whole new ballgame, folks. By all accounts, the Cast Members in Fantasyland and personnel dispatched to the scene were very quick to respond, and absolutely professional in their clearing of the area and keeping guests at bay. Huge, huge props to the Disneyland team in this regard. Collectively, we dodged a big bullet this past weekend. What could have happened to one of the world’s most beloved attractions is almost unthinkable. What might have transpired to guests nearby or inside the attraction in a much worse scenario is equally disturbing to imagine. The fact is, the blaze was relatively small and was taken care of very quickly. The memory of our immediate thoughts and emotions will linger much longer than any smoke or fire damage itself. I felt prompted to write about this simply because we all share in this journey of fandom together. And, we likely experience the same thoughts and emotions as a group. Historically, fires have not been kind to theme parks or attractions when they do happen to occur on very rare occasion. That is the reason for our profound fear of them taking place, and more importantly, the reason every park, guest, and employee should be aware and vigilant at all times as was the case Sunday night in Anaheim. 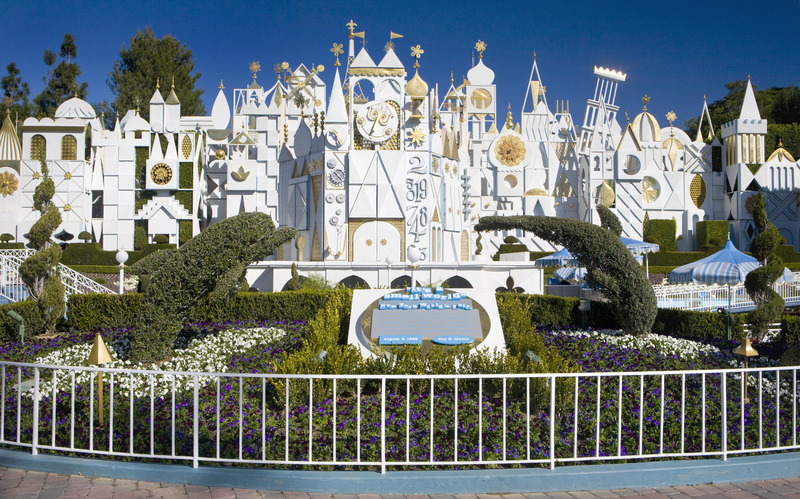 This entry was posted in Editorials, Features, Home Page, Home Page Slider and tagged Disneyland Resort, it’s a small world, Rick West, The Walt Disney Company. Bookmark the permalink. Well said!! I couldn’t believe all of the comments I saw online Saturday night talking about how they wished the attraction would burn so there’d be more room for the rumored Star Wars Land in that area of the park. IASW is a classic. Hands down. I am so shocked, in talk about fires at Amusement parks, and iconic scenes, you didn’t mention the fire at Universal, that took out the New York set, King Kong, and the iconic, Back to the Future clock set. Still a big loss, I think. Thanks for the response! There could have been a million things cited in the editorial, but I really didn’t want to beat the same drum for too long. Losing Kong was absolutely tragic – I grew up with that, too. And, I am not a huge fan of the replacement. Universal isn’t a stranger to Back Lot fires – while the last one was certainly the worst, it wasn’t the first. Probably won’t be the last, considering those facades are so flammable. Courthouse Square was spared, by the way. The Courthouse was not lost; that’s where fire engines dug in and drew the line. That is still the original Courthouse structure. Again, thanks for the response!